WASHINGTON (AP) — President Barack Obama abruptly canceled a planned campaign trip Wednesday and planned to convene his Cabinet at the White House instead, as U.S. officials grappled with the widening Ebola crisis. 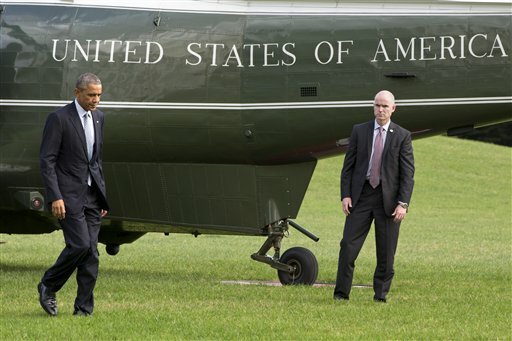 The White House said Obama’s trip to New Jersey and Connecticut would be postponed to a later date. Obama was to speak to reporters on Wednesday afternoon after meeting with top officials who are coordinating the government’s response to Ebola. Obama’s decision to nix the trip — just a few hours before Air Force One was scheduled to depart — reflected the urgency facing the administration and the White House’s desire to show the president is fully engaged. On Wednesday morning, officials disclosed that a second Dallas hospital worker tested positive for the virus after treating an Ebola patient who later died.